Xbox LIVE Update: Social gaming revolution or shameless franchise spamming? The modern world is all about sharing. Whether it’s your best friend uploading those potentially career-damaging drunken photos of you to Facebook or your brother ranting about the state of the economy on Twitter, everything has something they want to say. Microsoft’s latest addition to the already jam-packed NXE (New Xbox Experience) will bring these household names direct to your Xbox, along with the likes of Zune, a video downloading service, and Last.fm, the sophisticated Spotify, which lets you stream music direct from the internet. The icing on the cake for sports fans is the Sky player, which will allow you to subscribe to Sky packages through your Xbox and enjoy the latest football match with all your friends’ avatars from around the world. While it may all sound exciting in theory – in fact the round of applause from E3 has only just died down – it only goes further to hammer home the stereotype of the near-institutionalised computer games fan, hiding away from the world in a dark room out of touch with the real world. Of course this is nonsense in this day and age. Gaming is more diverse than ever before, with the average UK gamer aged around 28 years old and over 59% (26.5m) of all 6-65 year-olds playing computer games, in no small part due to the user-friendly nature of the Wii. Microsoft’s vision is to fight back by turning the Xbox 360 into a multimedia super entertainment centre. 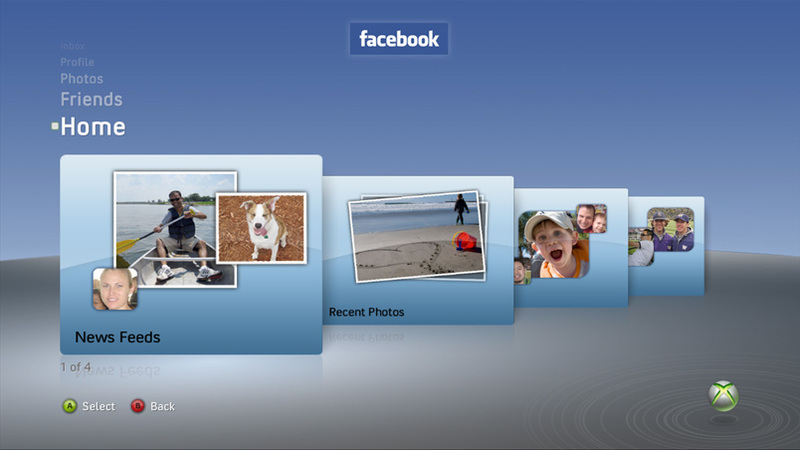 The vision falls short in reality though as the update itself (after a lengthy download) doesn’t ‘wow’ right away, just causes Facebook and the like to feature in the dashboard menus, prompting another download each time one of the applications is selected. Sadly the lack of integration doesn’t end there, with each application being treated almost as a separate game rather than part of the dashboard, meaning you can’t have any part of Facebook or Twitter running in the background, so if you wanted to share with the world that you’d just nailed the ‘Seriously 2.0’ achievement on Gears of War 2 you’d have to exit out of the game. Teaming up your happy-go-lucky avatar with your real self is a little unnerving at first as well, but once the update is released worldwide you’ll be able to add friends to Facebook from Xbox LIVE and vice versa, as well as all the usual Facebook features such as viewing photos and spying on your enemies from your primary school days. Being keyboard-less on the 360 is one major drawback for the text-heavy knitting circle Twitter and though you can splash out on a ‘Messenger Kit’, you might find it easier to dig out the laptop to tweet away than navigate through the swarm of menus to share your thoughts through Xbox LIVE. For music fans Last.fm offers a colossal range of music from almost any artist imaginable, though you need to pay to sign up to the premium version of the service to unlock the most useful content, such as the ability to play just your ‘loved’ tracks, making endless CD burning for summer BBQs a thing of the past. Zune, the least well known of the new additions, jazzes up the already popular Video Marketplace to offer a wider choice of films, though the choice is currently fairly limited. As well as feature films, Zune also highlights the best bits and bobs from the web to keep you entertained when you fancy a break from failing to beat ‘Scatterbrain’ on Expert for the 18th time. Sky Player is the most illusive inclusion to date, with Xbox LIVE’s message stating it will be rolled out on October 27 and that users won’t need a Sky dish to access content. What it does reveal is that there will be plenty of on-demand movies available, possibly creating a bit of competition between Sky and Zune to control the download rental market. The features are determined to show of their usefulness to gamers but for those without a lightning-fast internet connection even updating Twitter can be a strain, making the prospect of downloading a feature length full 1080p HD film a daunting prospect, though luckily you don’t need to wait for the download to finish before you start watching. There’s masses of potential here, and now Microsoft has these big companies on board things will only become more refined and sleek but at the moment all the new features seem very tacked-on, giving more of a sense of bewilderment than appreciation of a revolutionised multimedia interface. 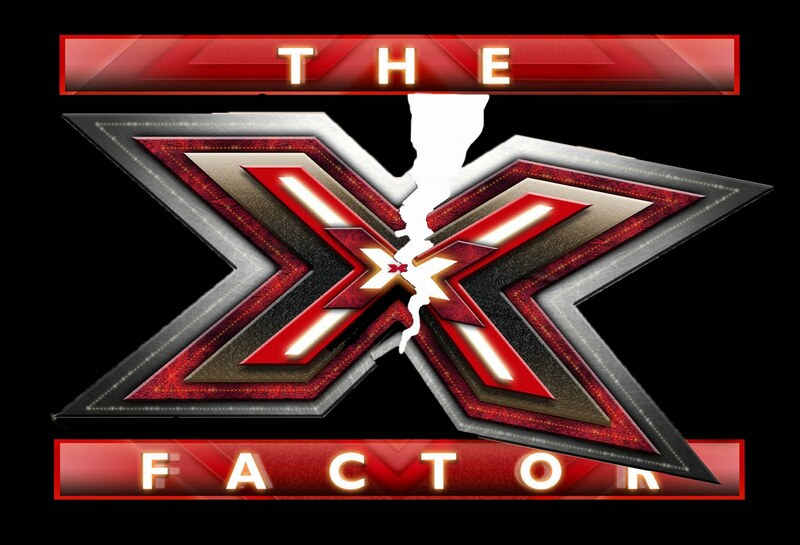 Is this the real life – Has reality TV finally lost the X-factor? With X-Factor dominating our screens once again it’s hard to see an end to the reality TV craze, but despite decent viewing figures, you can’t help but feel the ‘magic’ of the show is beginning to fade. Of course I’m bound to say that, as a self-confessed cynic, but surely even the faithful can see how doing the same show six times over can begin to grow stale. It’s not like an edgy drama where you can kill off characters, get new directors or have some shocking plot twist (those wondering what I mean watch House immediately), because they are constrained by the rules of their own format. The system was altered this year by an introduction of music and an audience at the audition stage. You can’t help but feel a slight nod to Britain’s Got Talent is due, but still the poor quality of some of the acts which reach our screens is enough to make even the hard-faced Cowell cringe. There’s never been any doubt that it is all an act. Cowell is the king, it’s his show and he’s ALWAYS right, even when he’s being brutal and harsh it’s never just to put someone down. Unfortunately, because SO many people now apply for the show the process has been stripped down countless times to get through the vast amount of people looking for their big break. Thousands never make it to the judgemental glare of Cowell before they are told they don’t have what it takes, and even then not everyone is given a fair chance, as the show would mystically have you believe. One story I heard from a young man called Adam exemplified this ‘injustice’ more than most. Some would say “Well, that’s the industry, you have to be lucky”, but surely the point of a show like this is that everyone can have the same chance? In Adam’s case, he started with the best intentions: a level head, a clear mind and some actual vocal talent (always a plus). After reaching the first audition he was called through to potentially begin his musical career, only to be met by an apathetic, dazed individual, who he was told would be listening to him sing. He walked in and told the judge his name and what he was going to sing, to which the man responded “Fine” staring off idly into the distance, barely even registering that Adam had come in. Despite being virtually ignored Adam went ahead and sang, and the apathetic judge let him through. As it turned out, this man was by no means a professional, just someone TalkbackThames had found to help out with the auditions, and wasn’t given any training or guidance in how to pass or fail people, making the process a bit of a ‘pot luck’ scheme. Another one or two rounds of similar treatment ensued before Adam found himself up against the real deal: the X-Factor judges themselves. Surely this is when it becomes serious? When the people who have got to that stage actually show some talent? The audition organisation team pulled Adam aside before this crucial stage, but not to offer encouragement, to suggest that he change his song choices from the ones he’d been singing the whole process so far, the likes of Usher and Ne-Yo, to “something a bit more mainstream”. Adam wasn’t too keen on the idea, but the team persisted “something like err…who’s that guy? Oh, R Kelly, what about that ‘I Believe I Can Fly’ one?” Adam begrudgingly agreed. Adam waited patiently backstage for his turn, listening to the acts before him, some good, some pretty bad, until he was told to get on stage and walked out before the panel and a room of excitable spectators to make or break his music career there and then. Cowell asked him routinely which song he would be singing, and as Adam said the name his face quickly fell from receptive disapproving. He sang through about six seconds before Cowell decided he’d had enough and said: “Sorry, it’s a no” to which his panel of puppets quickly concurred. After all the time and energy put into the process it came down to six seconds of a song he was forced into singing, but that wasn’t the worst thing about it. A few weeks later when the show began to air, Adam noticed something interesting on the Xtra Factor (ITV2’s cash in show designed to give more insight into the process). Host Holly Willoughby was talking to Cheryl Cole about big audition no-nos, and the first thing Cole said was “Well, anyone who sings ‘I Believe I Can Fly’ is out”. Adam’s face fell as the show cut to a montage of people performing the song, and he immediately saw himself performing the first line. Never has it been more clear what X-Factor is, not a talent show, but a glorified freak show that builds hopes and shatters dreams needlessly. With Big Brother 10 having suffered plummeting viewing figures compared to the shows hay-day, perhaps the shelf-life of X-Factor is almost due as well? Strictly Come Dancing has shown how the older generation can be lured into the petty past times of the TV-watching majority, though it’s still managed to drag up it’s own controversies (no pun intended – honest). Probably the best way The Xfactor is summed up is in comedian Ben Elton’s book ‘Chart Throb’, which satirically takes off the series in a way which you feel could so easily could be completely true. It splits contestants into four groups: Blingers, Clingers, Mingers and Singers. Blingers are the over-the-top personalities that make up the Chicos and DJ Talents of this world, while Clingers are those so desperate for the opportunity to save their lives and usually have some ridiculous sob story attached. Next come the Mingers which speak for themselves really, serving as ammunition for the book’s incarnation of Cowell to fire insults at by being so horrendously awful, and of course the Singers (a very small group) are those who may eventually win. So the next time you join the masses in watching Simon and the gang try to find the next big thing, consider if you’re watching it because it’s genuinely entertaining or just because there’s only dated films or the BBC’s own version on the other side.